You probably have enough listeners. We would, of course, always like more. More is better. But I’m guessing you have enough to be #1 with your target. That’s tapping into the power of super-listeners. The most important question is whether you have enough of these passionate fans. You know about the 80/20 rule. But did you know that super listeners contribute even more of your ratings credit? You’ve heard of the 80/20 rule, which claims that 80% of a company’s revenue usually comes from 20% of their customers. The trend is actually changing to be even more dependent on a loyal core. Super-consumers now represent 10% of a category’s customers and account for up 70% of sales and an even higher share of profits. 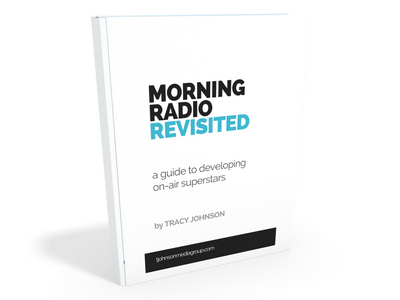 In radio, ratings analysis shows that about 90% of your quarter-hours come from just 15-20% of your cume. Wow. Think about that. Super-listeners are your core, the most active and loyal target listeners. It’s easier to reach and influence them because they already like you. And it’s easier to get existing fans to spend more time (or more occasions) than recruit new fans. This means that you can dramatically increase the efficiency of advertising and promotions. Instead of trying to find new listeners through mass marketing or activate secondary listeners, focus on a narrow slice of your customer base. You probably know how to find them. They should be in your database. You do have an updated, active, smart database, don’t you? So your database likely contains a disproportionate amount of ratings participants. Doesn’t it make sense to love on those folks? Even a small increase in the efficiency of promotional spending (including advertising, promotion and marketing) can deliver dramatic ratings results when properly managed and targeted. (Fans) are a subset of heavy users who are highly engaged with a category and a brand. They are especially interested in innovative uses for the product, and in new variations on it. Super-consumers tend to have more occasions and “jobs” for a product. As an example: If you sell cheese, providing recipes can increase consumption dramatically from existing customers. Just showing them how to use the product leads to new usage. If Content is King, Who's the Queen? Similarly, super-listeners are activated when you provide new reasons to use your station. They already like you. Help them love you more by giving them more reasons to tune in more often. All of this adds up to one simple conclusion: It’s more important than ever to have a direct, one-to-one relationship with your audience. Want to build a database? Contact us. I can show you how. Do you already have one but don’t know what to do with it? Contact us. We can turn on the ratings faucet for you. Unique marketing solutions including animated videos!